As always at Computex, exhibitor's booths have this secret back room where only a few are invited. Yes, we're talking about the "NDA room" where products that the company does not yet wish to reveal are showcased to a select few members of the media. When you enter you are first greeted by a big "no photography" sign board and a bevy of interesting products lined up along the wall. Apart from sneaking into CoolerMaster's NDA room we were also invited to preview a few products from ZOTAC. 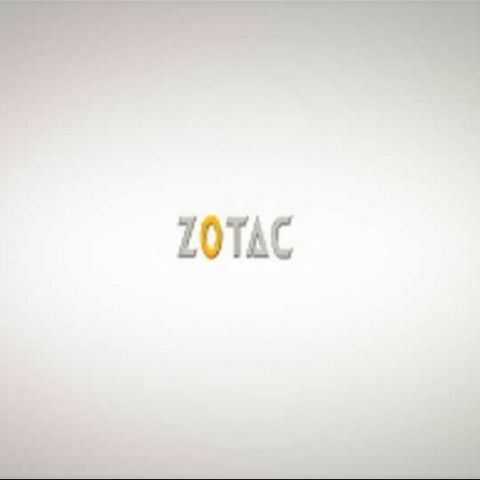 While we are not allowed to reveal too many details, ZOTAC has quite a few interesting products in store. One of them is the ZBOX VIA Nano. This little device, the size of a small box of Ferrero Rocher, is the non blu-ray iteration of the ZBOX (which we had seen some months back sporting the AMD E350 chipset) is an entire PC in one small package. True to its name, the ZBOX Nano is really tiny but comes with a number of conectivity options such as four USB ports (2.0 and 3.0), HDMI output, Ethernet, eSata, DisplayPort, an SD card slot and other connections. The ZBOX Nano ships without an HDD but you can easily open up the device and add a laptop HDD. Speaking of internals, there are two versions of the Nano: One is based on the AMD Fusion APU while the other has a VIA chipset. The VIA one is the budget option. The Nano will come with a media center remote and the price is likely to be in the sub Rs.10,000 range. There was also the steroid injected version of the ZBOX (probably called XL) which features a GeForce GTX 480M integrated graphics. The last thing showcased in this enclave was a "HDMI wi-fi" technology for streaming HD content wirelessly to a screen from the ZBOX. But we doubt whether they'll name it that though. Let's wait and watch. I need a laptop in th range 30k -40k.I am into architecture.